Michael Gove has warned re-imposing direct rule for Northern Ireland from Westminster is a "real possibility" if there is a no-deal Brexit. Devolved government in Northern Ireland collapsed in January 2017 after a row between the power-sharing parties. MPs have voted to reject the UK leaving the EU with no deal - but it is not legally binding. The environment secretary said direct rule would be a "grave step" the government would have to consider. 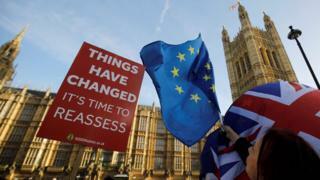 Has anything changed in the Brexit deal? Responding to a question from North Down MP Lady Hermon, Mr Gove told MPs: "We, in the circumstances that the house voted for no deal, would have to start formal engagement with the Irish government about providing strengthened decision-making in the event of that outcome, and that would include the very real possibility of imposing a form of direct rule. "Now that is a grave step, and experience shows us it is very hard to return from that step and it would be especially difficult in the context of no deal." MPs could now get a vote on delaying Brexit. The system has so far not been reintroduced during the current impasse, but some have accused the Northern Ireland secretary of presiding over "direct rule in all but name". Some politicians and commentators have also argued that "a form of" direct rule has been happening in Northern Ireland for some time now, albeit at a slow, drip-like pace. The Northern Ireland Secretary Karen Bradley has passed two budget bills for NI through the Commons, and has taken appointment powers usually reserved for Stormont ministers including that of the Attorney General for Northern Ireland. The UK government has said its priority remains on restoring devolution, but until then it must take some decisions to ensure good governance. Responding to what Mr Gove said, DUP MP Sammy Wilson said: "Most of the people within his party who reject the withdrawal agreement share our view that, in the absence of government in Northern Ireland, the government here should take responsibility." The DUP has previously called for direct rule to be brought back if there is no breakthrough in the political deadlock. The vote to temporarily take a no-deal Brexit off the table was promised because the prime minister lost a second vote on her Brexit deal in Parliament by 149 votes. Addressing the Commons after losing Monday's vote, Theresa May confirmed MPs would get a vote on whether the UK should leave without a deal on 29 March and, if that got failed, on whether Brexit should be delayed. Mr Wilson said said the DUP would vote against that motion, because "we believe that it is important that we have the no deal option in our hands", explaining that it would give the UK leverage against the EU, whereas ruling out a no deal would give the EU leverage in the negotiations. Opposition to the government's Brexit plan focused on the backstop, the insurance policy to avoid a hard Irish border after Brexit in the event of a wider trade deal not being reached. Although the prime minister said on Monday that she had secured legally binding changes to her deal, legal advice from Attorney General Geoffrey Cox said "the legal risk remains unchanged" that the UK would have no legal means of leaving the backstop without EU agreement. For that reason, the DUP said its 10 MPs would vote against the deal again, having opposed it in January when it was first voted on in Parliament. What does no deal mean for the Irish border? 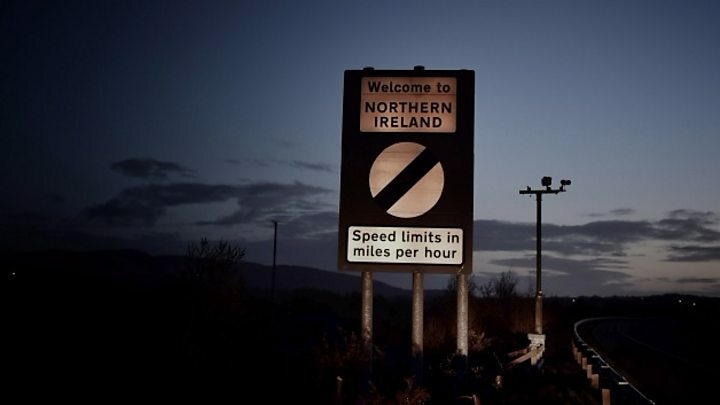 On Wednesday, the UK government published its contingency plan for the Irish border in a no-deal scenario. It said there would be no checks or controls on the border, and that goods entering the Northern Ireland market from the Republic of Ireland would not face tariffs. The UK government has always insisted it would not allow there to be any hardening of the Irish border, but until now it had not set out how it would ensure that in the event of no deal. It said its new plan includes measures that mean there will not be any land border checks. However, the Irish government has not said what it intends to do on its side of the border in a no-deal situation. It is also committed to ensuring a hard border is avoided. But the EU has an obligation to protect the integrity of its single market - goods coming in and out of it - and the Republic of Ireland, as an EU member state, may have to adhere to rules enforced by the EU that change the situation at the border. Tánaiste (Irish deputy PM) Simon Coveney said the Republic of Ireland would respond to the UK government's latest proposals as "part of the EU27" and had an absolute commitment to avoiding a hard border. "The crisis here all emanates from the British parliament being unable to give a clear signal to what they can support and ratify," he said. If the no-deal option is rejected later on Wednesday, MPs could get a vote on Thursday on whether to request a delay to Brexit from the EU. The European Parliament's Brexit co-ordinator, Guy Verhofstadt said the Brexit process seemed to be "spinning out of control".